Harper’s is the second oldest print magazine in the United States and is making their way in the digital world. They recently decided to employ our Leaky Paywall to give readers 1 free article from their publication before requiring them to subscribe. Allows readers to share articles with others on Facebook, Twitter, etc. The reader views one article. After a few seconds the article countdown nag slides into view (see below) alerting the reader that they have used up their free article and that they need to subscribe. This produces a subscription callout (the box in the article below) inside the article with more subscription info. 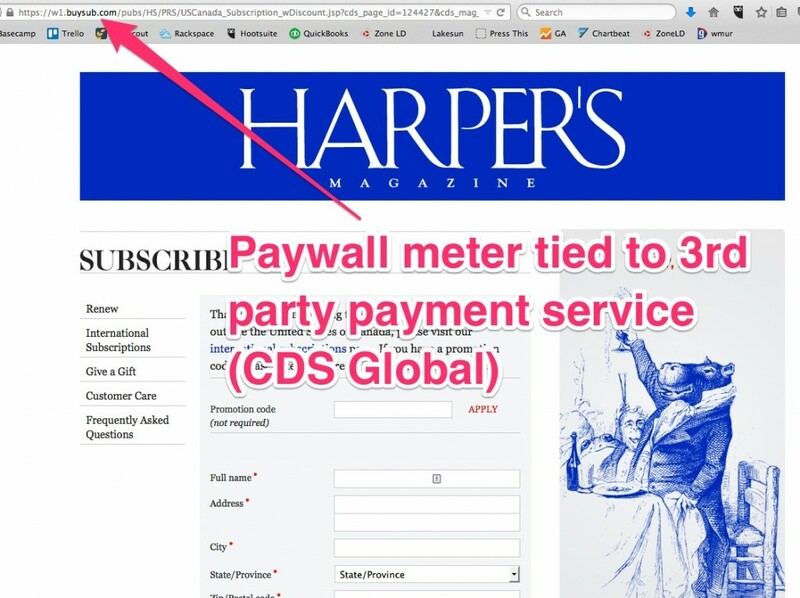 Subscriptions are handled through a third party payment gateway (CDS Global) that is tied to Leaky Paywall. 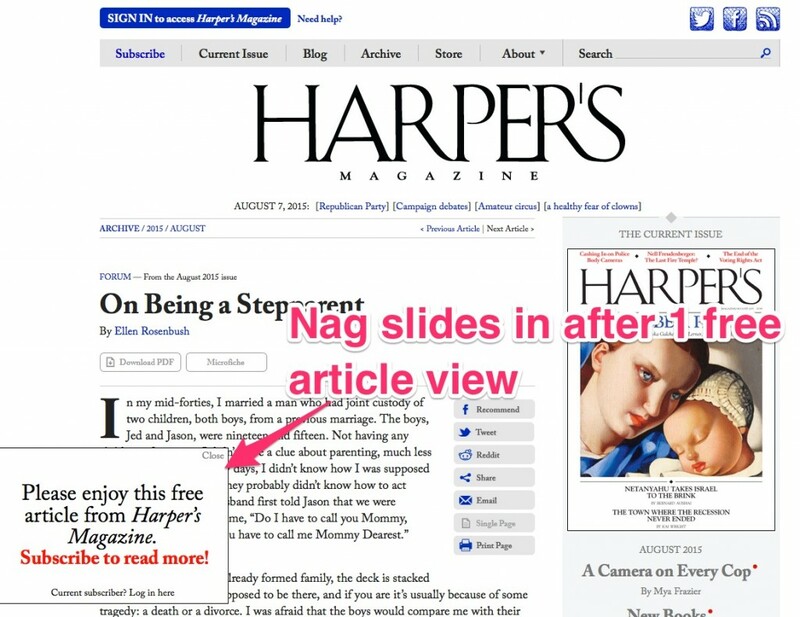 Once a subscriber pays they will have access to all of Harper’s issues and articles. 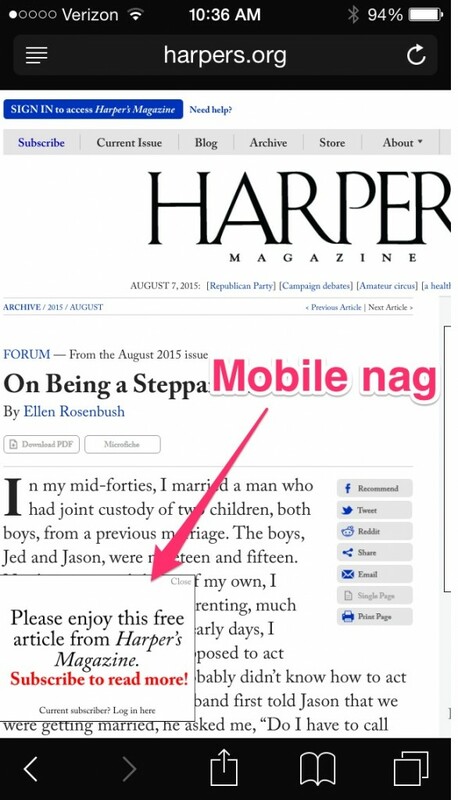 The paywall meter and subscription nags also work on phones and tablets. 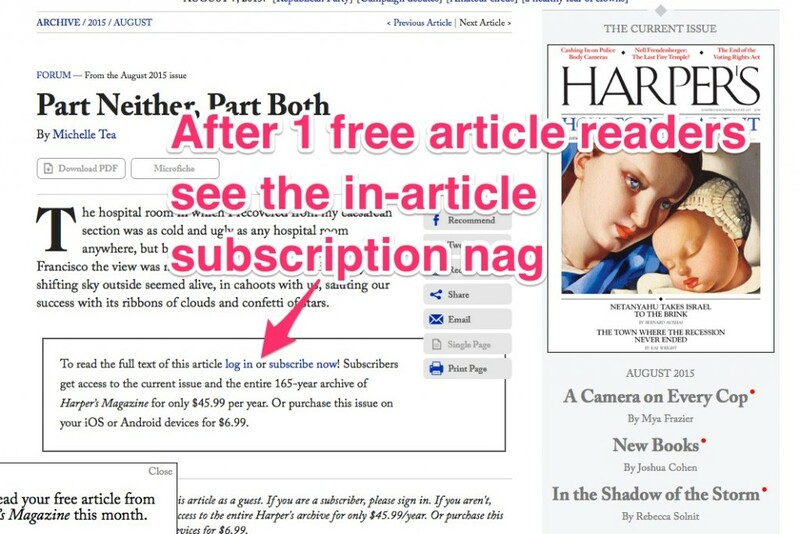 Leaky Paywall gives Harper’s the right approach to selling digital subscriptions by giving away free sample articles, enabling articles to show up in Google search, and letting their audience share all their articles in social media.